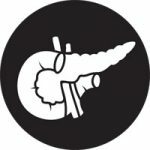 Hello and thanks for visiting pancreaticcancertreatment.net! Our mission is to provide free, easy to understand information for patients and relatives. Pancreatic cancer is becoming increasingly common and it is important that we all understand this terrible disease. We have no links to drug companies or hospitals. We do not receive money for publishing information on this site. Our advertisements are provided by Google Adsense. These advertisements help us cover the costs associated with running a website. If you would like to contribute, please use our contact form to get in touch with a member of our team.